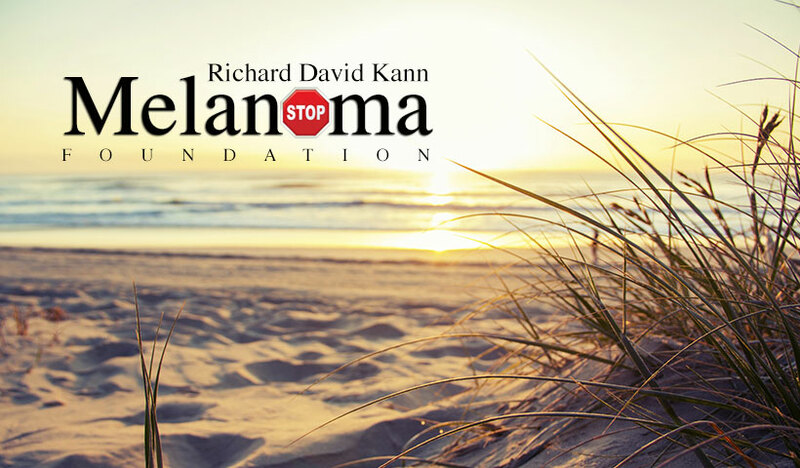 The mission of the Richard David Kann Melanoma Foundation is to educate the community about the prevention and early detection of skin cancer, especially melanoma, its deadliest form. One person dies from melanoma every fifty minutes, one out of every fifty people are at risk for melanoma, and Florida is the state with the second highest incidence of melanoma in the country. Melanoma is the only cancer that is increasing each year, while all others are decreasing. We can significantly reduce the number of people who die from this disease that is 100% preventable: if we educate our community. SunSmart America™ K-12 in schools, is the core curriculum of the Richard David Kann Melanoma Foundation, it is the only program in the country that educates students from kindergarten through twelfth grade. 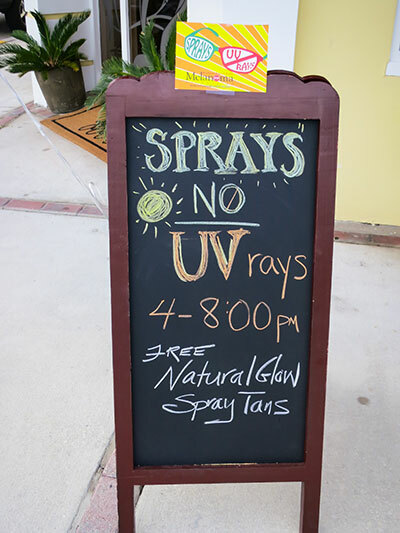 The Foundation has trained students, teachers, school nurses, parents and school administrators nationwide, thus facilitating the development of new sun safety programs and resources. Benchmarked to meet FCAT and Next Generation Sunshine State standards, the Foundation has gained the support of the school Superintendents, their teaching body and staff. 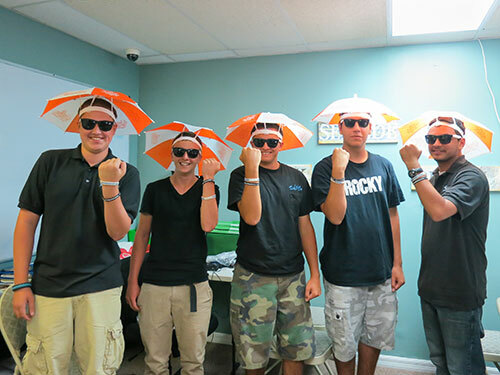 Students against Melanoma (SAM) is the Foundation’s peer-based club in middle and high schools. The SAM Club Program has been in existence since 2007 and continues to grow as new clubs emerge yearly. This unique opportunity for students has helped the Foundation to win two of its thirteen American Academy of Dermatology Gold Triangle Awards. This is a critical time for children to acquire positive knowledge that will help them to create good habits to serve them throughout their adult lives. All middle and high schools should have a SAM Club. The model allows students to receive community service hours, and to participate in fundraising and philanthropy. 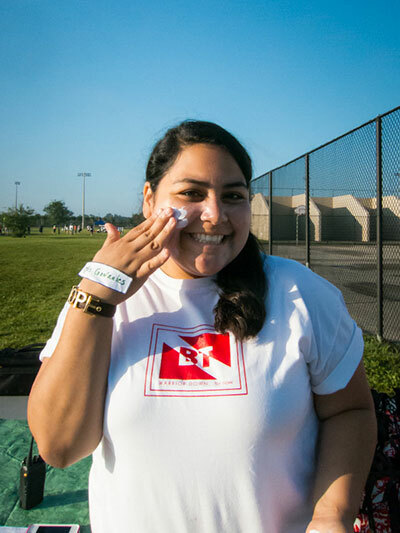 Clubs meet as often as they wish, but at least once a month as they gather to create events for their school, and to partner with the Foundation to celebrate Melanoma Awareness Month in May. SAM members attend community events, carrying forth the Foundation’s mission, as well as being ambassadors of good health and sun safe education. Also recognized during Melanoma Awareness Month, is the Melanoma Monday Art Contest in Schools, celebrated throughout the county. The Foundation has been implementing this program since 2001, with first place awards as great as Sun Shades for schools and other prizes. The event culminates in a well-attended community event and award ceremony, filled with fun and awareness. 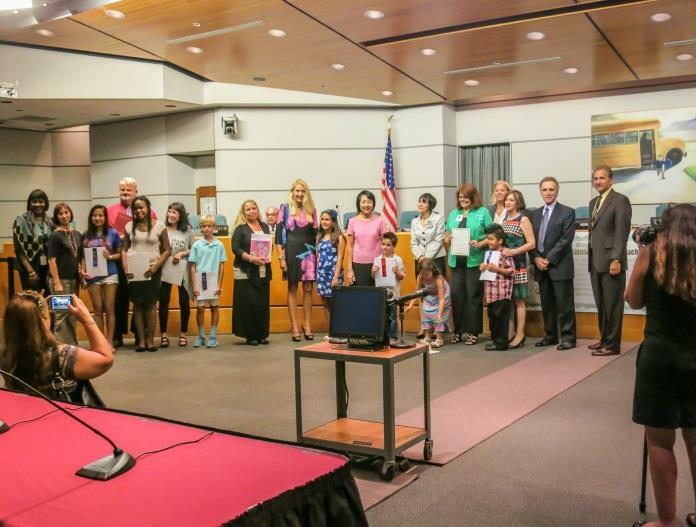 In the 2013-2014 school year, The School District of Palm Beach County awarded the Foundation a formal Proclamation at the May 2014 School Board meeting, where prizes and awards were distributed to the winning students, teachers, and schools. The Foundation also received a Proclamation from the City of West Palm Beach, and Congresswoman Lois Frankel recorded the work of the Richard David Kann Melanoma Foundation in the Congressional Record in Washington, DC. It is the Foundation’s desire to make the Melanoma Monday Art Contest a statewide program in the near future, one of many efforts to make Florida the “Sun Safe” Sunshine State. Be sure to watch your emails for your invitation to participate in this important contest next spring (March 1, 2015) or call the Foundation at 561-655-9655 to receive the rules, attachments and submission dates. default_titleThe US Surgeon General announced a “Call to Action” for the country regarding sun safety awareness, prevention and early detection. We always answer the call! SAM Clubs - As we begin the 2015/2016 school year, we have 18 SAM Clubs around the county! default_titleThe New SunSmartsTM Brochure was presented in October 2014. It was created by the Richard David Kann Melanoma Foundation’s Physician’s Advisory Board and approved by Dr. Robert Kirsner from the University of Miami. Pick up a copy at your school nurse’s office today! 90% of students were confident they knew the risk factors. 93% planned to change their sun safety behavior based on what they had learned during the presentation! default_titleThe School District of Palm Beach County has amended their Wellness Policy to include Sun Safety awareness. default_title“Love the Skin You are In”: A yearlong partnership with the Gardens Mall educating teens during “At Risk” times, such as Prom, Break, and Homecoming, regarding the dangers of overexposure to the sun and deadly tanning beds. We presented a back to school fashion show in August, featuring SAM club students and in October, a fun scavenger hunt through the mall entitled “Stamp Out Melanoma”. We thank the Gardens Mall for their community support! The Law offices of Searcy Denney Scarola Barnhart & Shipley created a public service announcement for television, showing the importance of melanoma prevention and detection. It aired in May of 2014, which is Melanoma Awareness Month. The Foundation received recognition and a significant donation from SAFESUN, a foundation in Boca that features a yearly 5K run www.facebook.com/RunFromTheRays. The Foundation has worked with them since 2013 in support of sun safety for families and our community. 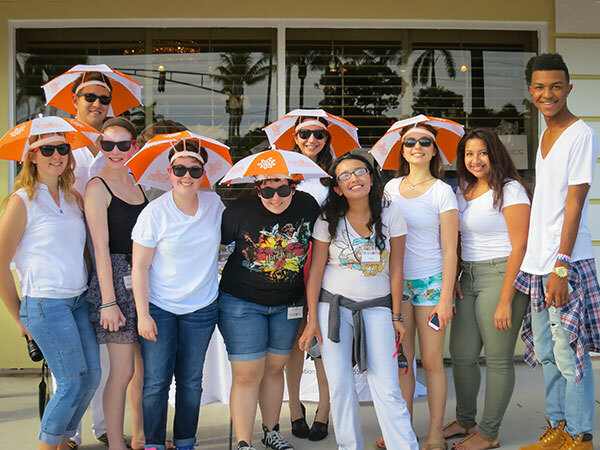 default_titleThe 2015 Melanoma Monday celebration entitled, The SunSational Mother’s Day Event, took place at Palm Beach Outlets. There were activities for the whole family, especially Mom. Sun Safety themed photo booths, makeovers/mini spa treatments, tropical “slushy” drinks and more were provided throughout the day. The winning prizes for the Melanoma Monday Art Contest in Schools were awarded at this time. Great job” to everyone that participated; hopefully all schools and teachers will join in next year! Private schools are welcome to participate. default_titleMajor Events and Fundraisers: The 16th Annual Luncheon and Fashion Show at The Breakers, “Turn the Tide on Melanoma” at the Tidelines Resort and Spa in Palm Beach, mARTini’s for Melanoma and Run from the Rays 5K in Boca Raton, Whole Foods Charity 5% Day, Wellington, Ladies Night Out at South Florida Science Center, Girls Night Out, PGA Ibar, Bloomingdales “Sun Safe Products” and Charity Shop Day, Gardens Mall. default_titlePresentations and Outreach: The West Palm Beach Green Market, FP&L “Summer of Sun Safety” Employee Wellness, PDQ Family Day, Jupiter Medical Health Fair, El Sol Health Fair Presentation, Athletha SPF Day, Town Center, Boca Raton, and so much more. default_titleSunSmart information in conjunction with Palm Beach County Parks and Recreation and Aquatics. 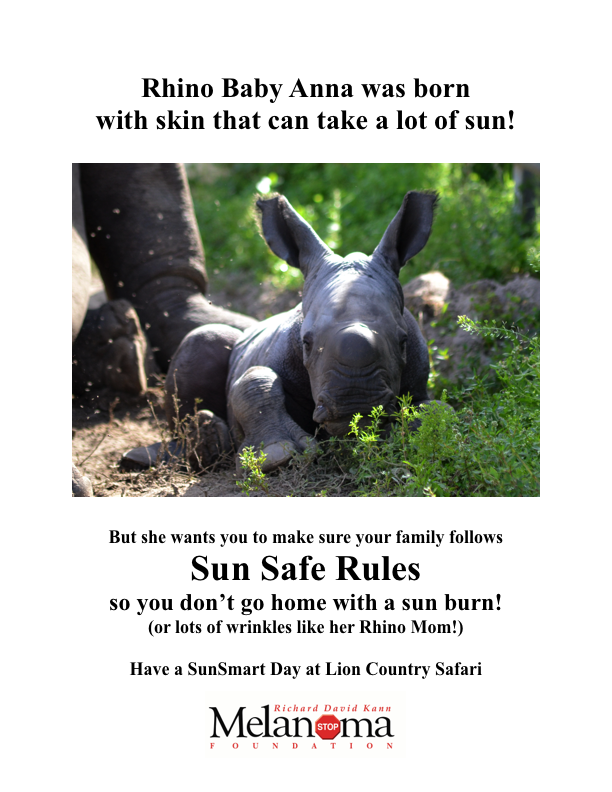 Check for updated sun safety tips for a burn free day with your family! default_titleThe Foundation provided 3 summer internships for students over the summer. default_titlePR was at a high. The Palm Beach Post took a strong leadership position this year, writing several articles in July, and inserting a Healthy Living Supplement for print subscribers, featuring our SAMposium on the cover! The School District of Palm Beach County has once again, been supportive of the Foundation’s mission. We welcome our new Superintendent, Dr. Avossa, who we understand, takes a serious approach to health: he has written a letter in support of the Foundation’s work in schools and communities. 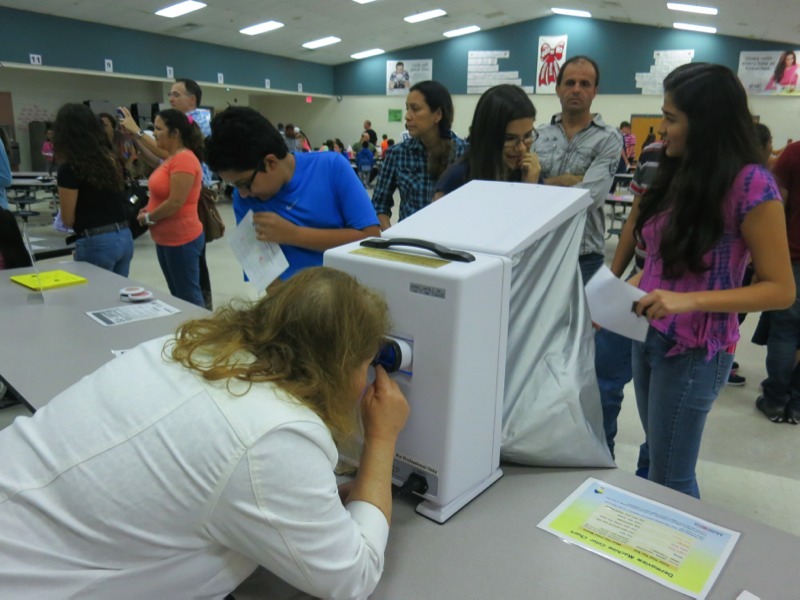 Prior to the beginning of the 2014-2015 school year, Lisa Richman, Executive Director, was present and spoke at the teachers’ meeting for PE/Health, as well as the Science Symposium. Before school was dismissed, Mrs. Richman addressed all the principals of elementary, middle and high schools, to bring attention to the importance of educating K-12 students. One of the community’s own, teacher Brian Thomas has been an inspiration to the Foundation, and a plea to do “Just One Thing” for 2015-2016 should be on the lips of all educators! Students against Melanoma Clubs (SAM) and the Foundation have once again, dedicated this year to “Love The Skin You Are In,” demonstrating safe alternatives to tanning beds and over exposure to the sun. Kicking off our September SAMposium, strong messaging will be presented to SAM club members, who in turn, will share with peers during high-risk times such as prom, homecoming, and school breaks. We hope to inspire the student bodies and have them commit to “NO TANNING” as they exchange old world thinking for a healthy life. Look carefully, you might see Sun Screen Dispensing units in Palm Beach County...forget your sunscreen, well push the pump and get protected! Through School District media channels, more information will appear on a regular basis, for the most updated facts and tips. The Foundation is committed to contributing a monthly article on sun safety, to be posted on each individual school’s website, so start looking for “Rays”ing Sun Safety Awareness! Did you know the Foundation has a Facebook and Twitter page? Follow along, post, and tweet, tweet, tweet! One SAM student is working hard and has a six-month plan to get the Foundation one thousand likes! Thank you to The School District’s Wellness Promotion Task Force and the School Board, for partnering with the Richard David Kann Melanoma Foundation for a safer and healthy life for our children and the community.